FBI Special Agent Pendergast is taking a break from work to take Constance on a whirlwind Grand Tour, hoping to give her closure and a sense of the world that she's missed. 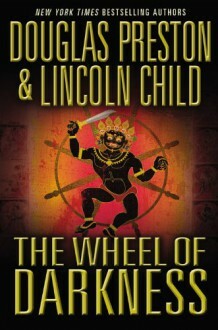 They head to Tibet, where Pendergast intensively trained in martial arts and spiritual studies. At a remote monastery, they learn that a rare and dangerous artifact the monks have been guarding for generations has been mysteriously stolen. As a favor, Pendergast agrees to track and recover the relic. A twisting trail of bloodshed leads Pendergast and Constance to the maiden voyage of the Britannia, the world's largest and most luxurious ocean liner---and to an Atlantic crossing fraught with terror. Another in the Agent Pendergast series. This one was not as enjoyable to me as the "DEATH" series, but still unique. A demon is released on the maiden voyage of a cruise ship, and even Agent Pendergast falls under the evil spell.